"Accelerate Insight for Financial Services: Reduce Risk. Stop Fraud. Increase Profits." 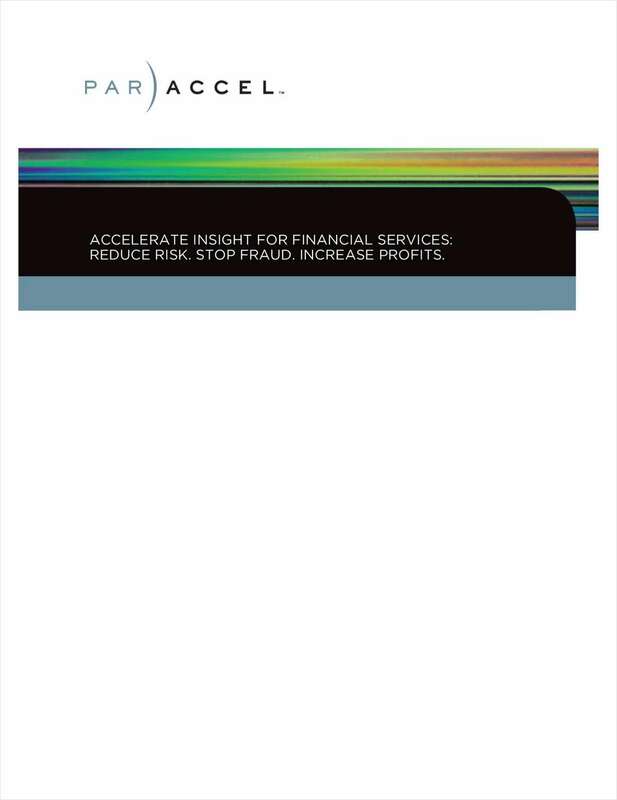 Free White Paper: "Accelerate Insight for Financial Services: Reduce Risk. Stop Fraud. Increase Profits." Learn how the ParAccel Analytic Database (PADB) provides the performance and operational agility required by the financial services industry, enabling rapid analysis of data from an unlimited number of sources, and with deep historical context. By submitting this content request, I have legitimate interest in the content and agree that ParAccel, their partners, and the creators of any other content I have selected may contact me regarding news, products, and services that may be of interest to me.